Aritz Aduriz has followed Lionel Messi and Sergio Ramos into LaLiga's history books. 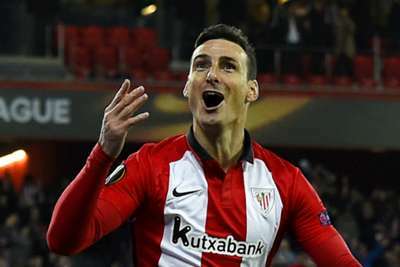 The Athletic Bilbao striker scored a stoppage-time penalty to earn his side a 1-0 home victory against Girona, giving Gaizka Garitano a winning start after he replaced Eduardo Berizzo as head coach last week. Aduriz, 37, has now scored in each of the last 14 LaLiga seasons, becoming only the third player to achieve the feat, after Barcelona star Messi and Real Madrid captain Ramos. Monday's win was Athletic's first in the league since the opening weekend of the season and they are now only in the relegation zone on goal difference.